We sat down with Arabella Gibson, CEO of the Gidget Foundation, to explore some of the amazing work the organisation are doing to support new and expectant parents. 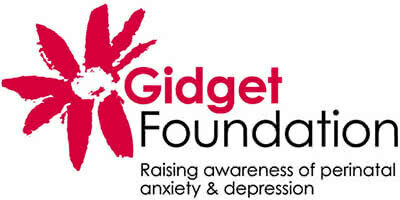 Gidget Foundation Australia is a really wonderful organisation. We are a not for profit that exists to promote emotional wellbeing for expectant and new parents. We aim to raise awareness of perinatal depression and anxiety (PNDA) amongst women and their families, along with their health providers and the wider community, ensuring that vulnerable people receive timely, appropriate and supportive care. PNDA and the difficulties of early parenting affects approximately 1 in 5 new mums and 1 in 10 new dads. This equates to over 100,000 new parents every year experiencing some degree of mental health illness in association with pregnancy or early parenthood – a staggering figure. Over 50% of new parents will experience adjustment disorders so the cost to the workplace, the family and the community is significant and poorly recognised. Sadly, suicide remains the leading cause of maternal death. Gidget was the nickname of a gorgeous, spirited and vibrant young Northern Beaches Sydney mum who tragically took her own life while suffering from unrecognised postnatal depression. As well as a very happy marriage and a beautiful daughter, she had a wonderful and close-knit family, and a really lovely group of friends. Not long after Gidget died, her friends and sisters decided to start the Gidget Foundation in her honour to ensure that what happened to her would not happen to another new mum. What’s the connection between Shorty’s Liquor and the Gidget Foundation? With a close family connection to Gidget, Shorty’s have been a wonderful supporter of the Gidget Foundation for many years. In just the past year alone, Shorty’s has donated over $50,000 – a very significant donation! We are really proud of and grateful for, our long-standing partnership with Shorty’s. There are many synergies which exist between our two brands, though at the very core our organisations are both built around family. On a personal level, what’s it like working with the Gidget Foundation on a day-to-day basis? The Gidget Foundation consists of a fantastic and dedicated group of people who are all involved with our organisation for the right reasons! But there are many times when I will read a story written by one of our Gidget Angels or talk with someone who has felt incredible distress and it will bring me to tears. Personally, as a mother of twins, I do what I do because I want to ensure that families stay together for the longer term. I want to drive awareness and provide education to create a stable foundation for our own children to manage the pressures of parenthood if one day they decide to be a mummy or daddy too! A big part of your job is to raise money and spread awareness… Your yearly lunch is a bit of a fixture on the Sydney social scene, with over 1,500 people attending. Any tips on organising large - scale events? The key is planning, planning, planning. Find suppliers you trust and then lean on their expert opinions wherever you can - the caterers will know more about food types and volume than you will, the florist will be able to advise on the flowers, and of course Shorty's will be able to advise on the styles, volumes and brands of the drinks needed. Contact The Gidget Foundation on 1300 851 758, email them at contact@gidgethouse.com.au, or visit www.gidgetfoundation.com.au.